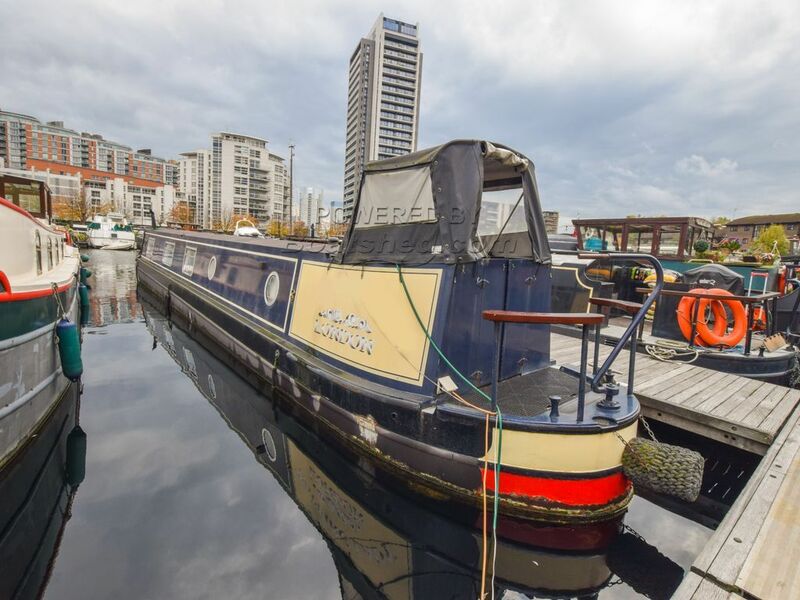 Boatshed London are delighted to offer this 57ft Narrowboat for sale with residential mooring at Poplar Dock Marina in East London. Built in 2005 by Severn Valley Boats, this boat is well priced for sale and this boat would make a great liveaboard for an individual or couple. The boat is well laid out with a double cabin at the aft moving forward to the bathroom, a convertible seating area and then an open plan galley and living area. The boat is equipped with multi-fuel stove and diesel powered central heating. Poplar Dock Marina is a great community of boaters with a village feel and the residential mooring is fully transferable with the boat. The marina charge a 5% transfer fee. There is a laundry, elsan facilities, showers and loos, marina WiFi and parking for residents (£600 per annum). Current mooring fees are £10,373 per annum. This boat is realistically priced for sale compared to others listed in the marina currently and viewing is highly recommended.